Mike McGowan has been entertaining our listeners in “WEBELand” during their drive home for more than half a decade now. Mike has worked from Buffalo to Boston, and Hartford to New Haven. His ear for music, has led him to many industry awards and accolades for “picking the hits.” For the past several years, Mike is diligent about keeping his listeners on top of “pop culture,” weather incidents and of course, the traffic. “I know full well, that the roads can be a big hassle when you’re trying to get home. 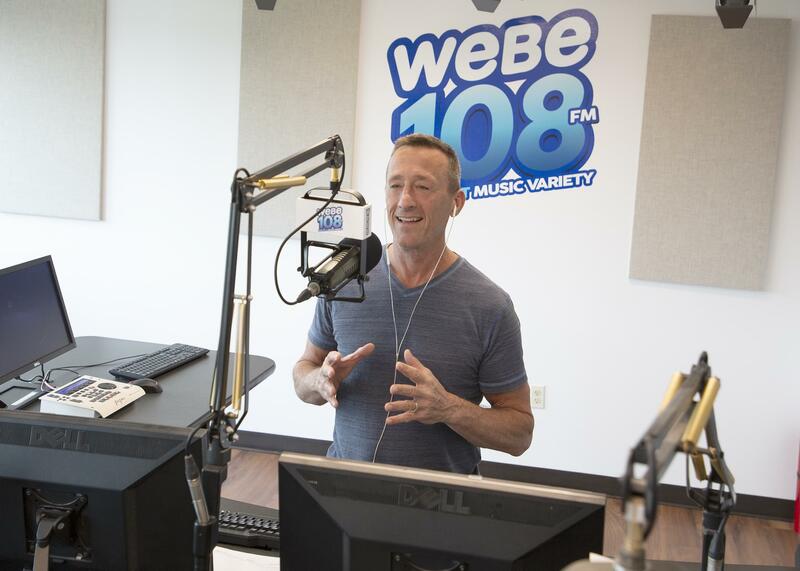 Between my “sources” and the WEBE108 listeners, we can give them the heads up they need on the way home.” If you see an incident, and can call in safely, let us know about it at 203-335-7623. Mike is well known to his listeners for his quick wit and affable personality, and has been an entertainment reporter on television, and commercial voice over artist as well. He’s an avid golfer, cooking and health food buff, and loves to try new recipes with his wife Cindy. If you hear he’ll be out and about, stop by and say hi. Mike loves to talk sports, family, and is appreciative of those who listen, and never takes it for granted.